Similar to Quakers in its upside-down layout, Lovedays is a spacious, light-filled cottage overlooking the gravelled courtyard. 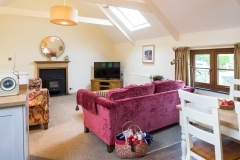 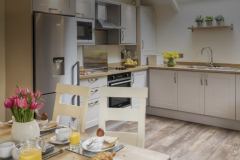 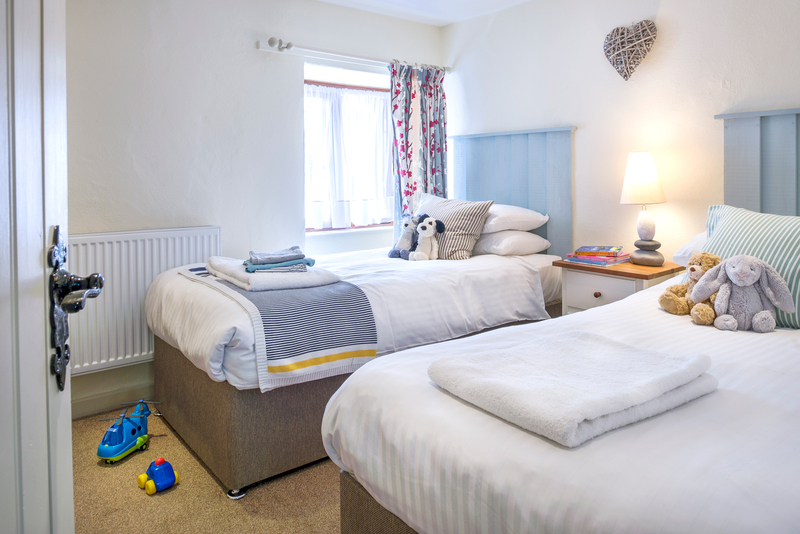 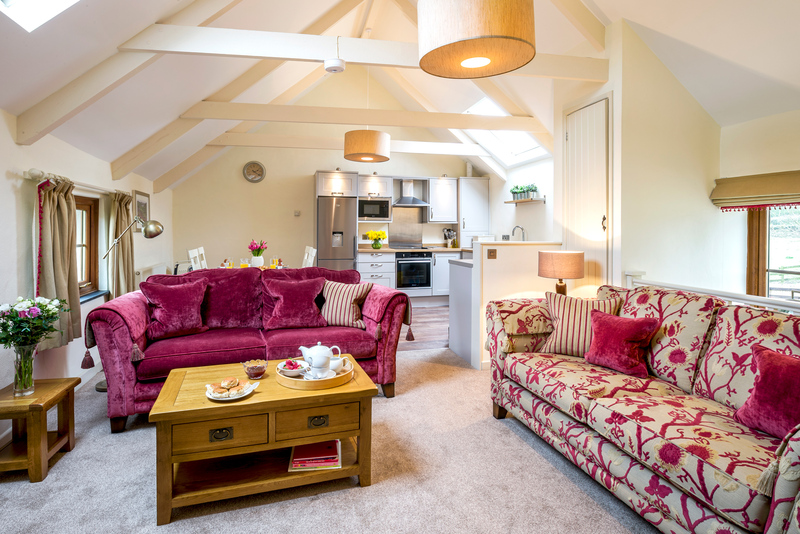 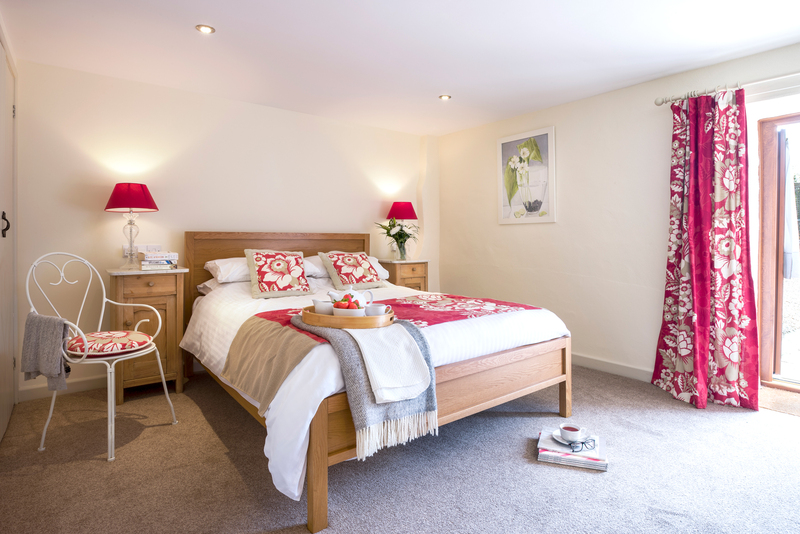 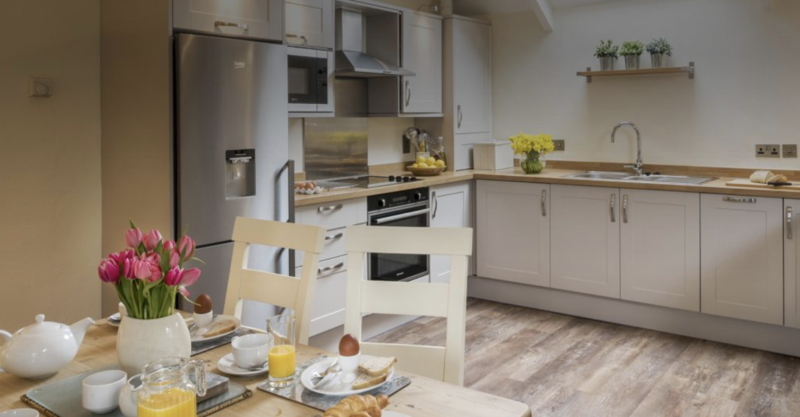 Downstairs is a traditionally styled twin bedroom, a shower room and a double bedroom – with a king-size bed and television – that opens out onto the courtyard through a stable door. 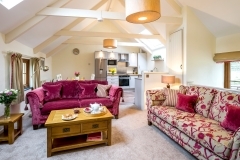 Upstairs, under a lofty ceiling studded with beams and skylights, is a large open plan living area with a feature fireplace (housing a gas fire), plump furnishings, a modern kitchen and rustic wood trimmings.